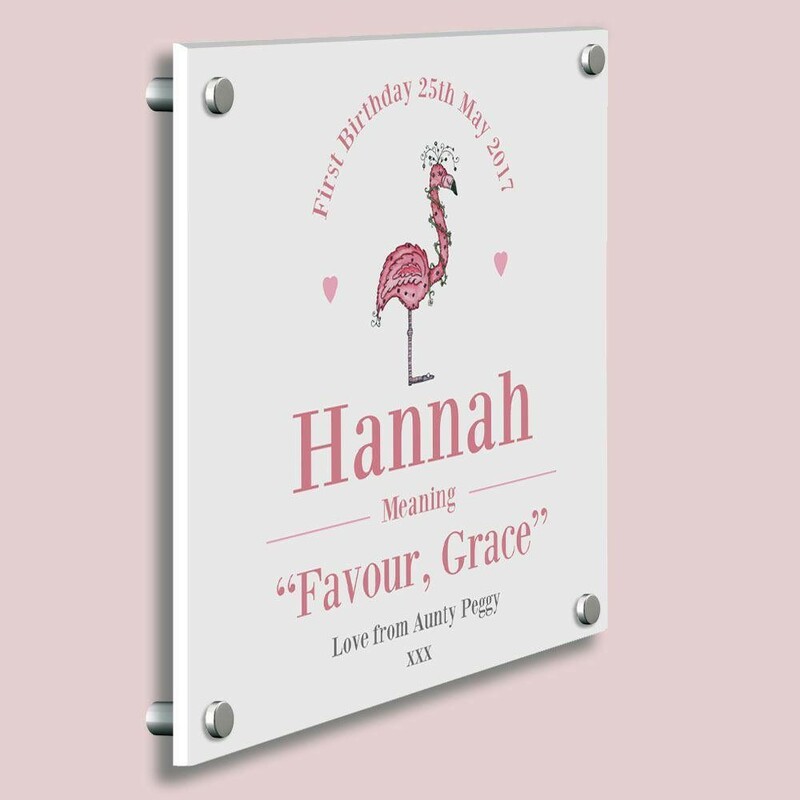 A gift with a personal touch to mark a special event in a baby girls life - whether a Christening or a First Birthday it will be appreciated and displayed for years to come. Featuring her name, we include the origin and meaning of the name. 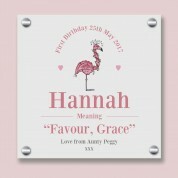 There is also an option to include the occasion, date of occasion and a short personal message of your choice. The design features an original illustration produced by our in house artist. It shows a beautiful pink flamingo, decorated with flowers in her feathers. The illustration has a textured 3D feel to it, which we think adds a unique touch to the gift.